Lampshade are four sensitive souls from Sweden who have already wooed their home market where this, their debut album, has been enjoyed since 2003. On first listen, their vocalist Rebekka Maria could be mistaken for a young Bjork. She swallows and gulps on her breaths and, like the Icelandic pixie-queen, packs each song with an intensity channelled from her fountain of youth. A late arrival in the Lampshade camp, Maria joined three already integrated musicians of differing musical tastes, and slotted in with their whole-band orientated way of songwriting. While sharing (and portraying) a sense of emotional sincerity in each track, the delicate, relentless aloofness of Mogwai can be found, with some songs benefiting from Rage Against The Machine's attacking, rhythmic strength. Windows to sonic vistas are thrown open by way of Smashing Pumpkins type drama, while Damien Jurado's kitchen-sink bloodletting colours yet other parts, leading each player, according to their musical background, to offer variations from the fragile and wispy, to intelligent rock, and on to well crafted post-rock. 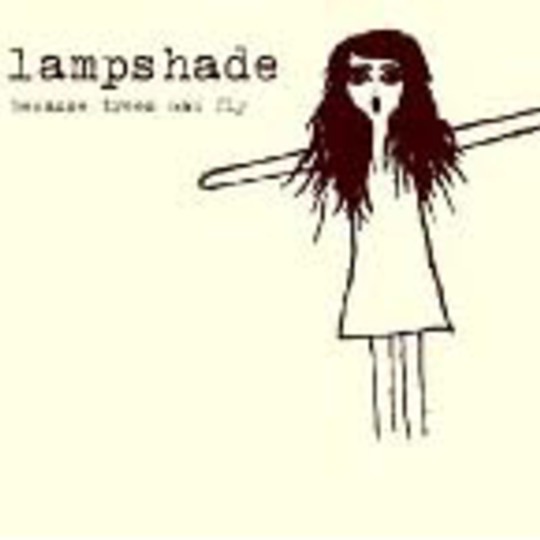 The album's title track, and former Danish number one single, is Lampshade's finest example of their charm. It can also be found on their label Glitterhouse's recent and excellent 'Nevermind' compilation to celebrate their 20th Anniversary**, (for anyone interested in checking out the huge variety and quality of music that's regularly ignored by the UK music press). 'Because Trees Can Fly' is a lovely introduction to a band cherished in more northerly climes, and you'll find that it fits the bill if your listening mood demands beauty, introspection or chill-out.